What is the speed you get on Airtel GPRS ? I get below 5 KBps even when the signal strength is excellent. Any tips or tricks to get at least 10 + KBps (80 Kbps) ? I use my phone through USB as modem. Hey how much usage are yo getting in 98 gprs plan.Here airtel reduced gprs usage to only 1gb for 98 recharge,2Gb for Rs 145.Airtel is very costly..
Me too on same plan. Even with low signal strength, speed goes very low, at times around 1-2 KBps. Docomo gives 1 GB for Rs. 48 it seems. I am ok with the rate provided they give a decent GPRS speed. What is the promised speed for Airtel GPRS ? How much do you get ? I get 20 kBps mostly . Is there any way to check if the tower is EDGE enabled or not ? It seems you are using a data card, which software is that ? I am using mobile as modem using USB through PC suite. Any way to get a manageable speed ? Yes ( huawei umg 1831) , it's mobile partner software. If your mobile phone shows "E" symbol near signal bar then it's EDGE enabled. Thanks mdheeraj86. My phone doesn't show " E ". Mine is a degree below browsable. Does using data card makes any difference ? 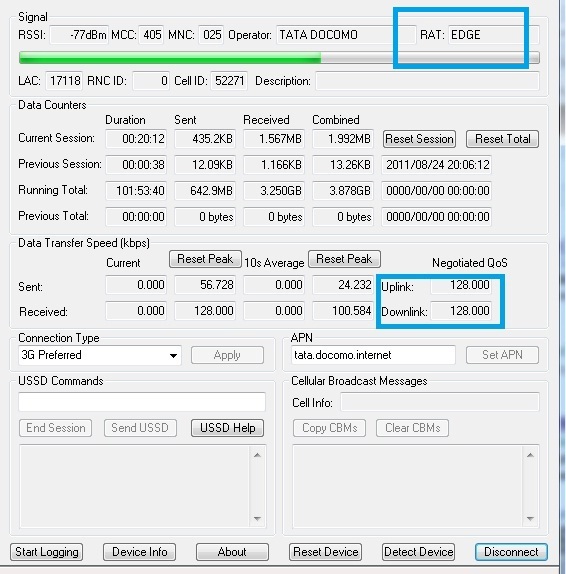 I used sony Ericsson cedar/nokia E72 phone as modem but i did not find any change in speed....i think it does not make any difference. oh. Any idea about the maximum speed of non EDGE enabled tower ? It seems to be. The speed is pretty low even with my mobile supporting EDGE. It even gets disconnected from gmail chat at times. Thanks for the help. speeds will be always low even if you are on an edge network because this is India, here 2.5g means 2G and 3G means 2.5G. You can still use gmail services with such internet very easily.. Just download Miranda. Its a 3mb application and updates regularly.. It works very nice on gtalk using ports 143, 5222 and 5223. Yahoo, facebook, icq, twitter are also supported on it(even skype) through additional add ons which you have to download like packs and save to respective directories at Miranda's program files. About gmail (mail service): You just can switch to m.gmail.com to load mobile page for gmail. Its very small as compared sizewise to standard gmail. Than you have gmail basic html view(just cut ?ui=1 and replace it with ?ui=html in the url bar and press enter/ or you can directly go to the bottom of the standard gmail, it is there). There are many many ways to go gmailing using slower speeds. Always use google's dns. and ping to them using some software. Keep ping intervals of 2/3 seconds, and you will not disconnect from internet. Add ping gmail and you get continuous gmail services. Ultimately you switch to use a browser like kemeleon or use opera turbo to get best speeds of this kind of internet. You can buy a cheap modem and help yourself from the harrassment of isps. Your place doesnt cover 3G but edge will improve with a modem. Other way, is to buy a usb cable extender and port your phone and the standard usb with the phone and than to computer and keep the phone to a door. It is dangerous but an ultimate way to boost signals; they will improve. Me get only upto 14 kB/s download speed! actually it fluctuates a lot! I would have loved to say that. They give only 1 GB for around Rs. 100 and pathetic speed too. How much speed did you get? 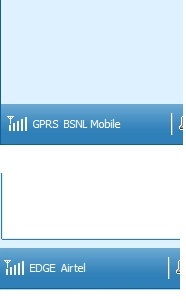 btw , i use bsnl on 3g signals..
wow, you get 3g speeds on 2g packs in bsnl? So EDGE gives lesser speed ? 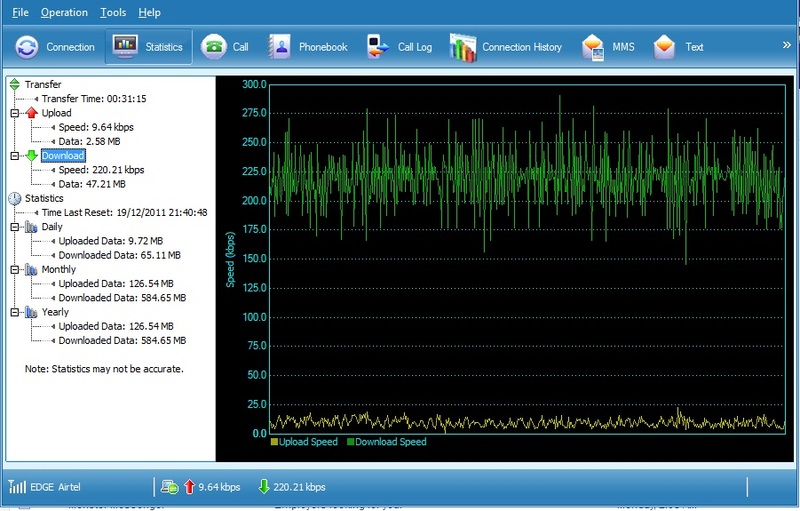 @meetdilip edge could be faster if 3G signals are low/servers are busy. How much speed do i get in airtel pre GPRS?